In school, I used to draw a lot of silly little cartoons all over notebooks, chalkboards, men's bathroom stalls, etc... Not as much of the latter as the others, although I have always, in general, appreciated the absurdism and anarchy that you find in many public restrooms. 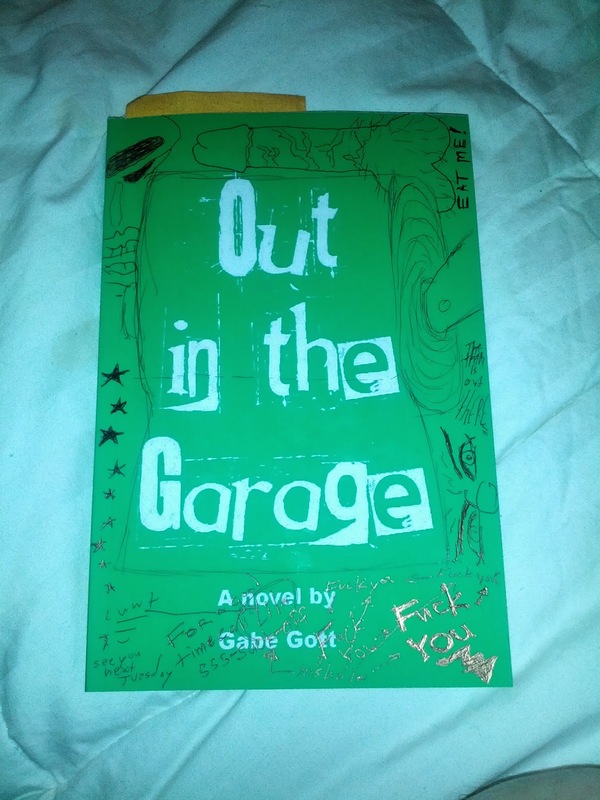 This type of graffiti art is what has inspired me to add this graffiti to these seven print copies of Out in the Garage. 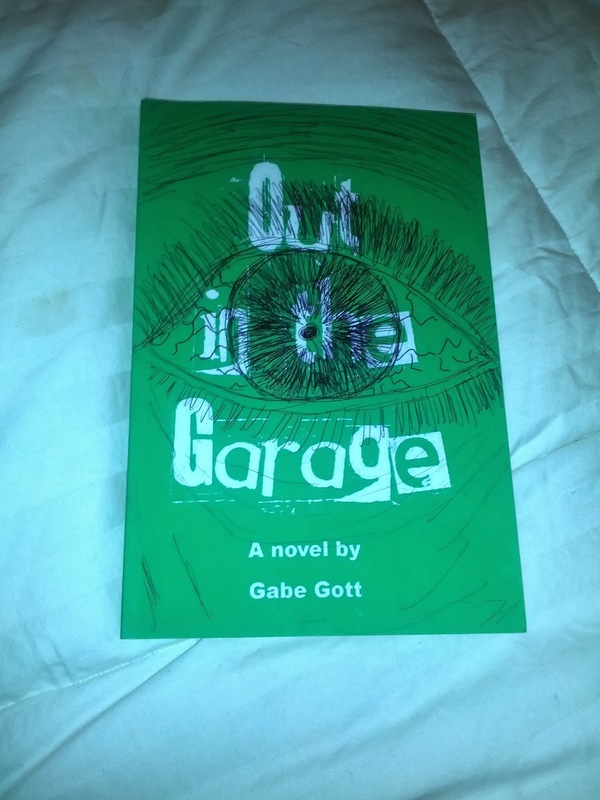 While I don't expect these to ever be worth anything or for anybody outside my immediate circle to appreciate, it is something that I feel compelled to do as I feel like it adds to the story that I worked so long and so hard to finish. It is also a way for me to not take myself so seriously. I really try hard to not be pretentious -- even though it is in my nature as an over-thinker. Anyways, the art is also inspired my my love of Monty Python, and specifically Terry Gilliam's cartoons, which are simultaneously brilliant, entertaining, and outrageous. I am going for the same sort of outside-the-box thinking, in my own style, of course. There is one more in the process, and two that I have yet to begin, but this is an ongoing project, for now. I am giving them all away (except for my two copies) to friends and family. This one is for all intents and purposes finished. It is being given away to someone. This one is incomplete. It is also going to someone. 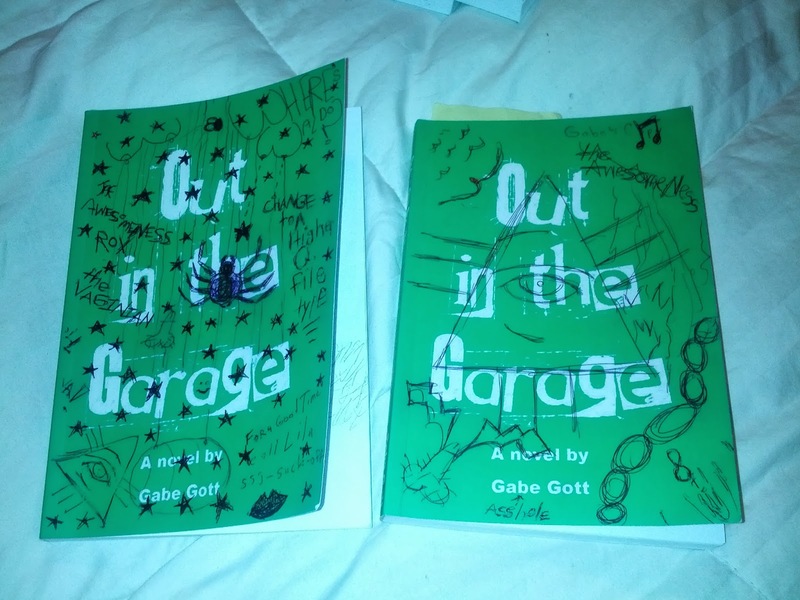 These are my two copies (they are two different proofs).